UPDATE: The northern California town of Clearlake remains the divorce capital of the Golden State. According to the latest data collected by 24/7 Wall St., the 15,000 resident hamlet still has the highest divorce rate in the state. Heavy is the head that wears the crown. ORIGINAL POST: Everyone knows Sacramento is the capital of California. The one with the cool buildings, the governor, and all that. But there are other, less official capitals as well. For instance, Stockton is the “Asparagus Capital of California,” San Jose touts itself as the “Capital of Silicon Valley,” and Pearsonville has been dubbed the “Hubcap Capital of the World.” Who knew? Except, probably the good residents of Pearsonville, all 17—yes, 17—of them. 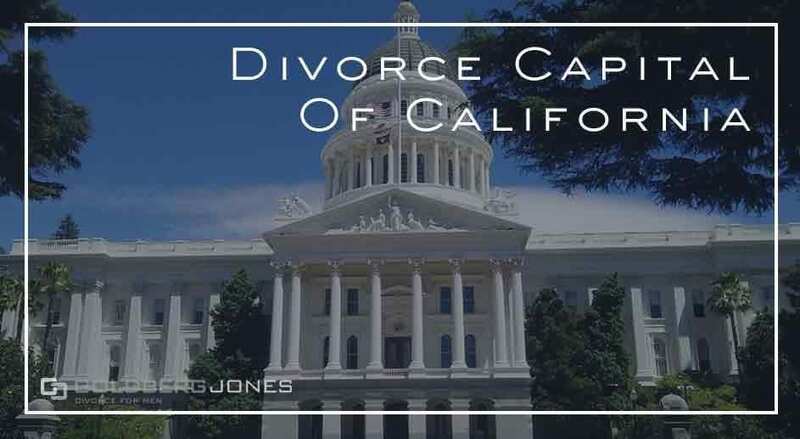 California also has a new capital, a divorce capital. Unfortunately, divorce is a big part of many lives. The prevailing knowledge states that roughly half of all marriages fall apart. Looking at second and third marriages, those numbers reach even higher. Rates fluctuate from state to state, even from one city to the next. USA Today’s 24/7 Wall St. recently examined 2016 U.S. Census data to determine each state’s divorce capital. This includes the Golden State. And the newly crowned divorce capital of California is…Clearlake. Not officially incorporated until 1981, and located north of the Bay Area, the city of Clearlake is home to more than 15,000 residents and sits on, you guessed it, Clear Lake. Interesting fact, according to a 2012 report, approximately 44% of the city’s roads are unpaved. According to 24/7’s findings, 22.1% of the population is divorced. When looking for a comparison point, the number statewide stands at 9.5%. And on the married side of the equation, 33.1% of Clearlake residents were married, happily or otherwise, at the time of the 2016 Census. What this means varies a great deal depending on your perspective. As with most divorce statistics, the meaning is open to interpretation and represents different things based on what you look for. If you happen to reside in Clearlake, does that mean you’re doomed to divorce? Most definitely not. Roughly one-third of the population remains married, so divorce isn’t exactly a foregone conclusion. Does the lack of paved roads somehow correlate to divorce? Going out on a limb, probably not. No marriage is exactly like any other. And following that logic, no two divorces ever happen the same way, or for the same reasons. People have their own motives to marry and they have their own motives to divorce. What kills one marriage doesn’t necessarily kill another. Many elements factor into the end of a marriage. And yes, where you live frequently plays a part. But not always, and it’s rarely the only cause. In reality, these numbers are just that, numbers. They have no more importance than what we give them. You’re free to interpret them as you see fit. For now, Clearlake holds the title of Divorce Capital of California. Down the road, that may change or it may not. If you have questions about divorce, feel free to contact Goldberg Jones at our San Diego office.